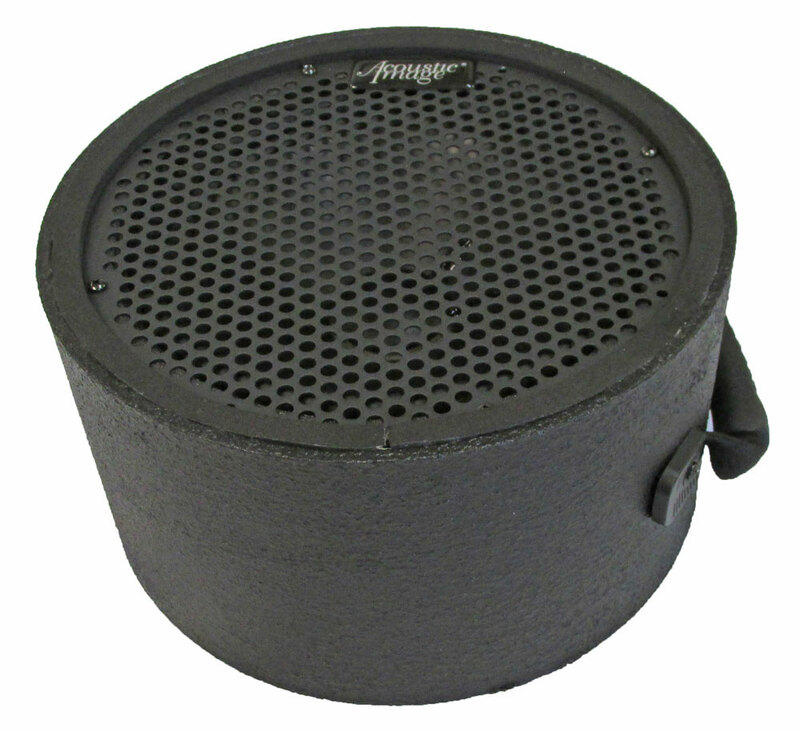 We have developed a unique compact speaker system that can be used for bass, guitar and keyboards (and probably more instruments). It uses our proprietary 10?inch driver mounted in a cylindrical enclosure with the driver firing upwards (hence, the name). The cabinet is 11 inches diameter, 6 inches high and weighs 11.5 pounds. It can be carried in a backpack. Along with our Clarus SL series of amps, it becomes a compact, highly portable, high performance amplification system for acoustic instruments. The design was inspired by storied New York bassist Harvie S. Harvie has been testing a prototype in various venues in NYC and has concluded “The speaker is changing the whole way a bass player lives. I’m on my first gig with it and everyone loves the sound of it. I walked in just carried it like I was carrying a small briefcase. This thing is so great.” And after a gig at the Kitano in NYC, he sent this note: “I played a trio gig last night at the Kitano. I used the [UpShot] and everyone said it was the best bass sound they ever heard in that room. Most people thought that I didn’t have an amp but they could hear the bass perfect.” He has shown the UpShot to guitar players and keyboard players and they all want one of their own. Hence, we call the UpShot the Harvie S Signature Model. One of the technical hurdles faced by such a small cabinet is that the transient response is degraded by the underdamped resonance of the speaker in the small cab. In technical terms, the system has a high Q (quality of resonance). We use an approach we call “Q Control Technology” to significantly reduce the Q and improve the transient response. In the photos below, you will see that there is a vent on the bottom of the cabinet. The vent is stuffed with a specific material to control the Q at resonance. The UpShot is designed to be placed on the floor, close to the player so that the player can clearly hear his or her instrument. The omnidirectional nature of the sound resulting from the driver being close to the floor, allows the instrument to be clearly heard on the bandstand and throughout the club.